The setting is Edo–…the imperial capital. Protecting the streets is Jinbē, the “Mumbling Chief,” and a police officer. He’s a reliable man whose only flaw is that he talks to himself a lot. 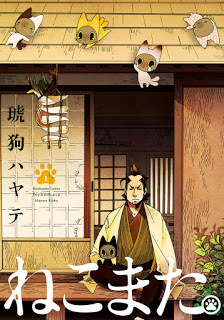 However, he has a secret reason for that… A story about these cute “nekomata,” Jinbē’s home, empathy, and cuteness begins!